From the administration panel to a fully functional event app in just a few minutes. Attendify is a truly exceptional, custom event app that makes building an attendee-facing event app a snap. The Attendify event app is a simple do-it-yourself tool that makes going mobile faster, easier, and more rewarding than ever. 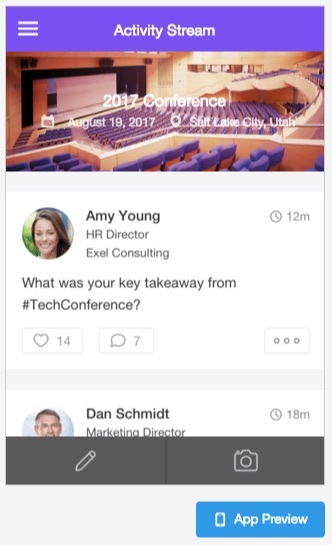 My first, full experience with Attendify just happened to be at the 2017 LoopConf in Salt Lake City, Utah, shortly before the event started, LoopConf organizers encouraged all attendees to install the LoopConf mobile app (for Android & Apple). After installing the LoopConf event app, I was impressed with the ease of use and features the app offered to attendees. That’s when I noticed the app was produced using Attendify. I decided right then I had to learn more about this exciting event app platform. I have to admit, after using the LoopConf App by Attendify, I was in love. My first impression was that the event had its very own social network in the form of a mobile app. 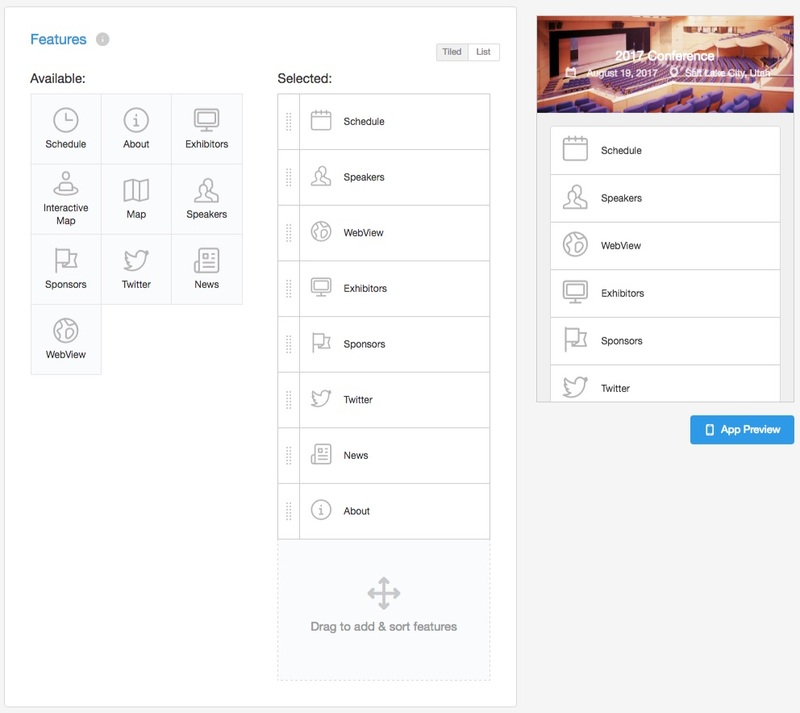 With built-in messaging, notification center, photo uploads, attendee introductions, Twitter feed integration and push notifications; the Attendify app platform makes having your custom event or conference app a breeze. Best of all you can’t beat the price. At only $999 per event or $1999 a year for multiple events, you can shave tens of thousands of dollars off the process of building a custom app that does everything Attendify can do out of the box. We’ve produced a few apps over the years (our first attendance app was published in 2011), so we have a pretty good idea how much a custom event app can end up costing your company. Is Attendify a Custom Event App? 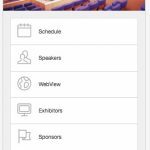 Attendify is a semi-custom, fully branded (featuring your very own app icon), mobile application that conference organizers can use to encourage guests, exhibitors, and even speakers to network before, after, and during their events. As the event organizer, you have the option to build a Social App (to promote networking opportunities) or a Guide App (to serve as a replacement for traditional printed pamphlets). 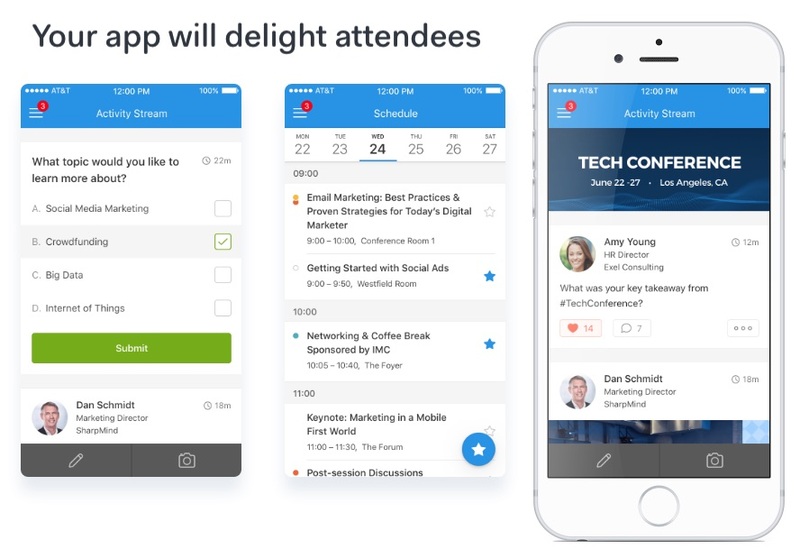 Attendify provides users with an app wizard to quickly populate whichever app you choose with all the pertinent information about your event, like schedules, speaker lists, exhibitor profiles, and maps. You can preview your app on any iPhone or Android device, and publish it to the App Store or Google Play. Seeing as how Attendify offers two different types of event app formats, I thought it would be good to give a summary of each type. Your event attendees will have everything they need to manage their schedules, engage with sponsors and interact with other event attendees. The guide app provides all of the same features as the social app (below) but replaces the activity stream with a beautiful, custom menu presentation. 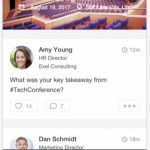 Conference attendees who download the Social App version of your Attendify event app will see a timeline of everything going on at your event, including tweets, photos, messages, and even programming alerts. Event attendees can create profiles and send private messages to other attendees as a way to make introductions and set up meetings in between sessions. Attendees can also connect when they take photos with their smartphones and add them directly to the timeline for any event. Does Attendify Fully Integrate with Event Espresso? Not quite. Adding event content, schedules, and speakers is a manual process, so you can expect to duplicate the content from your Event Espresso website (or any event platform, such as Event Smart) for the time being. However, it does appear that developers are encouraged to use Attendify’s Public API to build integration’s with the Attendify Hub. Non-developer users can import schedules, speakers, exhibitors, and sponsors by exporting a data template in an Excel (XLSX) file format, then importing the template back into the Attendify dashboard. Importing of attendee records into the Attendify event app can be accomplished in one, of two ways. 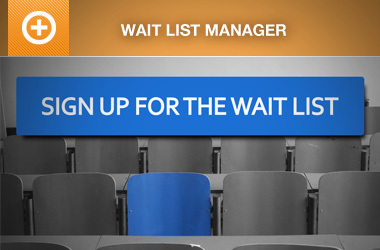 You can import your event attendee list into the app (using the wizard interface) and pre-load email addresses. When attendees download your app, only the imported email addresses will have the option of creating an account to access the app. Or, you can skip importing email addresses and simply send out the app store/ google play link, and anyone can download. 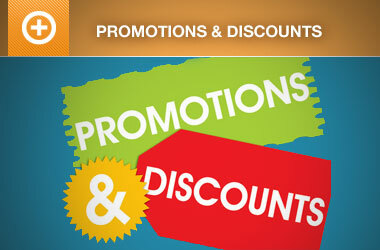 Works with Event Smart! 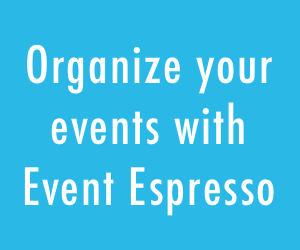 The Attendify event app works great with Event Smart, our cloud ticketing service powered by Event Espresso. If you are looking for an inexpensive, attendee-facing, mobile app that is easy to manage and provides an exceptional attendee experience. Look no further than Attendify. After personally experiencing an Attendify powered event app at a recent event, I can definitely say you can’t go wrong with their product. Many of the attendees and I were happy with the ease of use, up to date news feed, push notifications, and social capabilities of the Attendify event app. Questions, comments, already familiar with Attendify? Are you already using the Attendify event app for your event? Have an Attendify experience to share? Have questions or comments? Please let us know in the comments below or feel free to send us an email.